Noted author Bruce Sterling presents a eulogy for analog TV, at the Berkeley Art Museum, February 17 2009. The Federal Communications Commission has said that centers set up to answer consumer questions about the conversion were understaffed and that the government needed more time. “There’s no way we could have accomplished in the next 14 days what should have been done over the past 24 months,” said Michael J. Copps, acting FCC chairman. The $40 coupon program for assisting citizens in purchasing digital TV converter boxes for their old analog TV sets (and computer analog TV tuners) is out of money. Additional money might be included in the stimulus package now under consideration. Cable and satellite TV subscribers can keep using their old TVs. Here in New Mexico, many rural areas are served by lower power translator stations that might continue broadcasting analog for months and years past the June shutdown date. 25 years ago today, Sony Corporation of America v Universal City Studios, Inc was decided by the Supreme Court of the United States, affirming that time-shifting is fair use and does not infringe on copyright. The USA DTV coupon program is out of money. 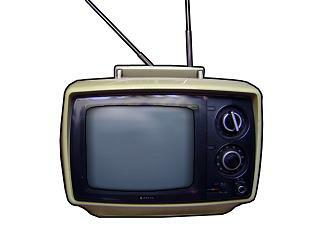 The vouchers are intended to help purchase digital converter boxes for consumers with older televisions (and analog TV tuner cards) needed to convert digital broadcasts to the legacy format after the February 17, 2009 deadline for stopping analog broadcast TV. $1.34 billion was reserved for the program. Now the advocacy group Consumers Union is urging a delay in the transition date.